So what is it like? Does life change? Do dreams become reality and with a deal to your name does it all become plain sailing? And what is the process from slushpile to contract to published novel actually like? 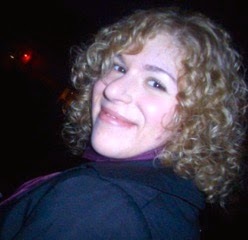 I asked debut author, Nicole Burstein, about her journey to publication. There are two answers to this: firstly, I’ve always been writing stories. I begged my parents for a typewriter then I was five or six, and was touch-typing and competing with my Mum (a trained secretary) for typing speed by the time I was 10. I knew from a very early age that I wanted to be a writer. The second answer is that in the summer of 2009, after another job rejection (I hated my job at the time, copy-writing for radio PR company), I decided that I was going to give novel writing a real shot. I moved back in with my parents, started my Masters in Creative Writing at Birkbeck, and haven’t stopped going for it since then. I always set myself short-term goals that I thought would be achievable. The first was to get through my Masters. After that, I set myself the goals of completing a whole novel, and after that securing an agent. Each goal was tough in its own right, so I felt a sense of achievement at every stage. I also made sure to listen to the advice of people around me, so I was aware that I would have to develop a tough skin. That first novel I wrote after my Masters didn’t go anywhere and resulted in a depressingly large pile of rejection letters. But I did find I had support out there, even if that novel wasn’t going to be the one to break through, so I knew that I had to keep going. If anything, I think all my nerves and worries intensified. Are they sure? What if they’ve made a mistake? What if this is all one giant practical joke??? And then the whole process of securing the deal took longer than I thought – I couldn’t tell anyone for about a month! So I had a long time to process everything before it all went official. When I was a little girl I promised myself that the first thing I would buy with the money from a book deal was a complete set of The Chronicles of Narnia. I think that finally being able to own and keep those books was the most amazing thing – it was like giving my younger self a high five! I think that doing a Masters in Creative Writing, as well as working in a large bookshop, prepared me for the realities of getting a book deal. I wasn’t surprised. I knew that pre-deal my book wasn’t perfect, and if anything, I was excited to meet my editor for the first time and see if we were on the same page with the revisions. A lot of problems and worries go away once you sign a deal: it’s very validating for one thing. However, all those problems and worries quickly get replaced with brand new ones. The pressure is intense, which is why I think it’s so important to surround yourself with supportive friends and family, as well as have an agent to look out for you. I never argued with my editors – I absolutely adore Charlie and Chloe at Andersen – but there was a draft that went very wrong. I was so eager to please (“thank you for the book deal! I’ll do whatever you say!”) that I let myself go in a direction that wasn’t right. I honestly thought they’d cancel the deal because the draft was so bad! I learnt a valuable lesson from that draft – that as much as you want to be the ‘nice author’ who is ‘a pleasure to work with’ it’s ok to stand up for yourself. The chances are that you’ll be right, but that doesn’t mean you shouldn’t listen and test out the ideas of others. Sometimes you have to go down a few dead-ends before you find your way to the centre of the maze! In the case of the terrible draft, I ended up pretty much scrapping six months of work and going back to the basics. I revisited my original manuscript, and brought back to it all the new stuff I had learned. The story stayed unchanged, but I feel that the writing became much sharper and focussed. The illustrator for my cover is a lovely man called John Riordan. He’s quite well known within the indie comic book world, so I feel hugely fortunate that my publishers secured him! As for the general feel of the cover, I was consulted every step of the way. I had cover approval in my contract, and distinctly remember saying “I love yellow!” in my first meeting with my editor. I love the result! If anything, the writing life becomes harder. There’s the difficult second novel to do (I have a two book deal with Andersen) and then there’s the problem of what happens next, career-wise. I have lots of ideas, but they’re wildly different from the world of superheroes, so I’m pretty nervous. I’ve always said that I’m in this for the long game, however, so anticipate a few set-backs. My biggest aim right now is getting to a stage where I’m earning enough to finally move back out of my parents house! I think that if I wasn’t already a keen user of Twitter, then I would find that aspect of being an author today the hardest. Social engagement is a huge part of being an author today, but at the same time you have to remember to hold some things back. I used to put EVERYTHING on Twitter, but now I’m a lot more restrained. Hopefully, what you see online is an elegant swan, when in reality my legs are flapping around like crazy underneath! Patience. Seriously, everything takes far, far longer in the publishing world than I ever thought possible. From the submission process itself, to finally getting the deal and waiting to see what happens next with international deals etc. It’ll be over a year and a half between signing my deal and my publication date – and that’s a long time! If you’re the kind of person who likes things to happen NOW NOW NOW, then maybe you should rethink entering this industry. It’s a slow slog, but one that’s definitely worth it in the end. Listen – always listen – but make sure that you’re staying true to your work. Know what your goals are within your work, and how you would like things to be. A good editor will help you realise those goals, not change them. Writing the next one! 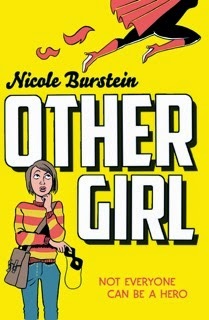 It’s a sequel to Othergirl, set in the same world of superheroes but with whole new characters. My editor has only seen the first three chapters, so I’m pretty nervous about it! You can find out more about Nicole Burstein on her website. I love that you bought yourself the complete set of The Chronicles of Narnia as a celebration treat! Fab story Nicole, great post Nicky - thanks! Great interview Nicky and Nicole. It's an endless source of amazement how slow publishing works - well done for managing to go with the flow (trickle?). And good luck with book II.